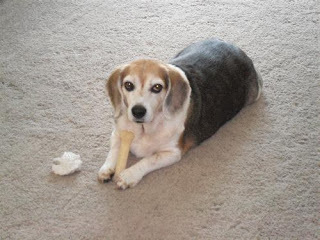 There are lots of beagles who need help, but for senior beagles, it's a bit tougher. People don't realize though that older beagles are awesome. I have a friend who raises beagles, and she once said to me that beagles are best at 2 or 3 years old because their "brains get mailed to them and they become model citizens." I know that's true for Lulu. She gets better with age. And I'm sure that's true about senior beagles. 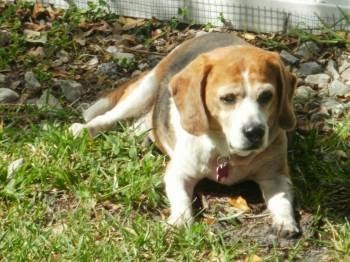 So here are some senior beagles who need good homes. 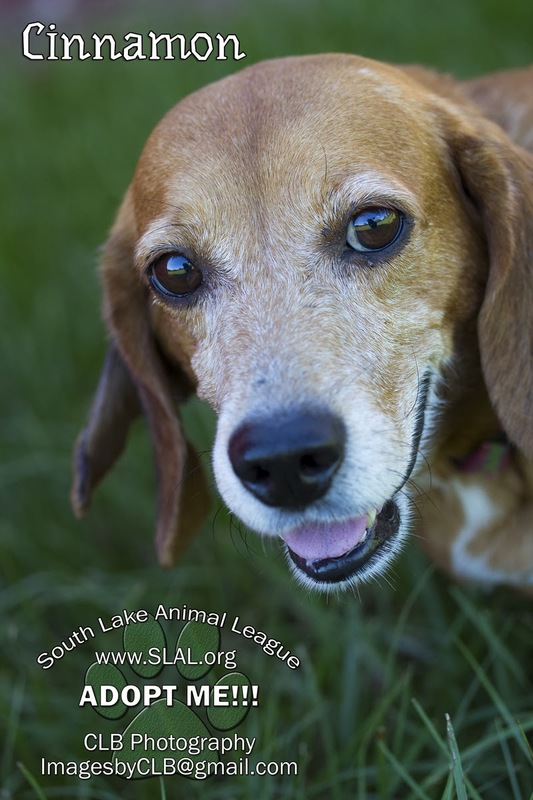 Cinnamon is a senior beagle/dachshund mix. She's in Clermont, Lake County at the South Lake Animal League. She's spayed and up to date on shots. Adoption fee for senior dogs is $100. There is a special adoption process at the league. If you are a right fit, you can adopt her. Tampa Bay Beagle Rescue has several senior beagles. They are also overcapacity and need to find homes so they can help more beagles. The adoption fee for senior beagles has been cut in half all this month. Here are some of their seniors. "Barney is a very laid back and very lovable guy. 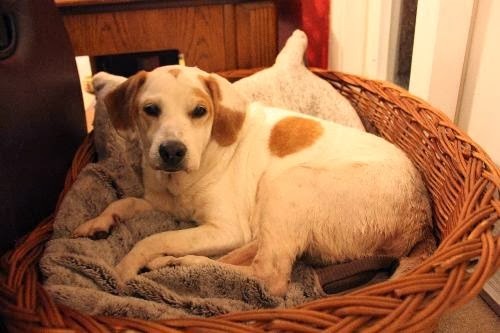 Barney was adopted out about 5 years ago and has returned to TBBR due to an illness in his family. When Barney returned he was overweight and was put on a diet. We also found out that he needed to be put on thyroid medication. Since being on his meds he is losing weight and has become more active and playful. He is housebroken, loves his bed and taking walks. This guy is a true jewel and is an easy guy to love." You can go to Barney's website to find more info. This is Bayou the beagle. Bayou is 11 and was found as a stray in Sarasota. Here's more on Bayou from the rescue. "Bayou was found as a stray in Sarasota. He is estimated to be about 10 years old. Bayou is excellent with other dogs and cats. He is being fostered in a home with a large number of animals and he is very genial to everyone. He is sweet and easygoing which makes him a wonderful addition to any family. He may be hard of hearing or even deaf. This doesn't stop him from being a very happy boy. He would be even happier if you would take him home and love on him. Won't you make him yours?" Check out Bayou's page here. Lizza is around 9 years old. Here's what the rescue said about her. "Poor Lizza has had several disappointments in her life. Lizza first came to us after animal services took her from her home where they had left her in a wire cage in the front yard with no food, no water and no shelter. This level of neglect left her with some permanent hair loss on her rump and tail. "She then was adopted from us in 2010, but that family decided to move into a home where they could not take pets so Lizza has come back to us. "Despite this, she has maintained a positive attitude and a great personality. She likes chew toys and LOVES soft places to take a nap. She can often be found curled up in the basket that stores all the toys. She is house broken, crate trained, and well behaved. "We are committed to finding her a home where she will be treated like a princess and loved and cared for all the rest of her days. Lizza is a very special girl and we are looking for a very special home for this sweetie!" Here's where you can find more info about Lizza. Now it's time for our beagle of the week! Kendra Starnes follows along on my Life With Beagle Facebook page. She has a beagle named Lucy who is only a year old. Here's what Kendra says about her Lucy. 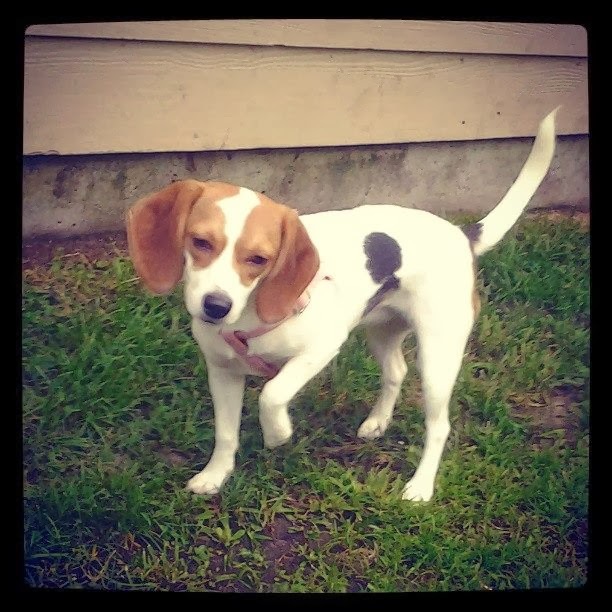 We got her when she was 6 weeks old from a couple that breeds Beagles for hunting dogs. She is fortunately a very spoiled indoor dog. She loves going to the dog park to be with her friends. Her best friend is a Great Dane named Carter. She loves anything that squeaks...but what dog doesn't. She doesn't take part in any special activities all though that would be a good idea to look into. Her bark/howl is unlike anything in this world. Everyone loves it, even our neighbors. She tries to hide her bones and digs up our carpet. We have had to get her a special blanket to hide her bones in. She is getting better with not digging the carpet so much. I will never own any other breed of dog besides a Beagle. They are definitely one of a kind and I couldn't ask for a better companion. Beagles are so sweet! I hope all of them will find loving homes very soon. Love Beagles and seniors rock! Sharing. They are all precious. Will Share.